Our 8:00 am service is the Rite I liturgy and has no music. 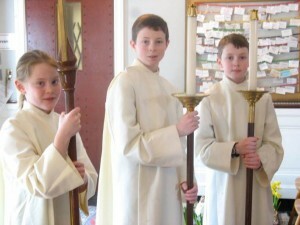 This service provides the most traditional and meditative worship for the parish community. 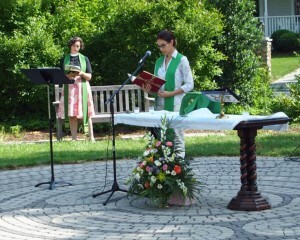 A participatory Eucharistic liturgy is celebrated at 9:30 am. This is a Rite II liturgy which is informal and contemporary in style with a particular emphasis in including children and families. The music and hymns are drawn from a wide variety of sources reflecting Redeemer’s commitment to its mission and heritage. The Adult Choir sings weekly at the 9:30 service, and the Atrium Singers, open to all children in grades one through six, sing 6-8 times per year between September and May. Special themed services are programmed in keeping with liturgical seasons, and have included a wide variety of musical styles and guests (see Music page).